It seemed before last year's draft, we could tell who was going to fall where. As a Jazz fan, I knew that if Morris Almond was on the board, the Jazz would take him. And certainly enough, that's what happened. The year prior was a little more complicated. Most fans believed that the Jazz would draft either JJ Redick or Saer Sene. With our luck, Ronnie Brewer slid to our spot. Both Sene and Redick were already gone (and thankgoodness!...because both players have been downright, disappointing, 2nd-year busts). We'll see who might slide this year. Players who seem to be falling into that category are Javale McGee, DeAndre Jordan, Darrell Arthur, and possibly Donte Greene. This year, I really have no clue what the Jazz are thinking. The possibilities seem endless. 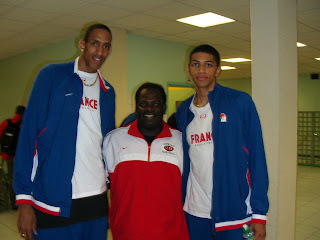 France has produced some nice NBA talent over the years from Tony Parker and Ronny Turiaf to Boris Diaw and Mickel Pietrus. This year's draft seems to have a couple more highly regarded prospects in Nicolas Batum (pronounced Nic-o-la Bat-ooom) and Alexis Ajinca (pronounced Al-ex-ee A-jin-sa). Both players are long and rangy athletes at their respective positions with incredible run'n'jump ability. Ajinca, in particular, is incredibly intriguing. He's 7-1 and 240 pounds (extremely light and skinny), but moves around the floor like a gazelle. He can move, block shots and hit open ones. Is he strong enough to hold his position in the paint? Apparently, he's steadily moving up the draft board due to his workouts (perhaps even past the Jazz). '00Tag-License to Thrill' must be proud of his Frenchmen! Oui! Oui! Even with the apparent 'word' that Hibbert and Ajinca are making good impressions (according to Chad Ford and DraftExpress), it also means other Centers may not be performing so well. There's just an abundance of Centers in the draft, moving up and down the draft board. That's a good thing for the Jazz. Some Centers may be more ready than others, but there's a lot of talent out there. Just to keep everyone's mind open to the possibilities, here are the many names: DeAndre Jordan, Javale McGee (young,raw,athletic...projects), Kosta Koufas (dual threat), Roy Hibbert (the experienced), Robin Lopez (defense-oriented), Alexis Ajinca (multi-talented), Jason Thompson (offense-oriented), Nathan Jawai (unknown) and DeVon Hardin (athletic). When it comes to the draft, there are always teams who are seeking the same position need as the Jazz. Who might these teams be? The Toronto Raptors are definitely interested in a Center at #17. Hibbert, Lopez and DeAndre Jordan must be high on their board. Golden State at #14 may choose a skilled Center for their uptempo system (Koufas?). Cleveland could go big, Denver might go one or the other and New Jersey is definitely seeking a Center with one of their two 1st Round picks. 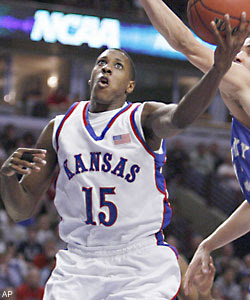 The more I think about it, Mario Chalmers would seem like the perfect backup point guard to Deron Williams. Chalmers is a winner (as evidenced by his big shot and championship game performance), plays intense defense (2.5 steals per game), shoots a high percentage (51% FG, 46% 3pt), and knows how to play with exceptionally talented teammates. He's not a glory-hog...he just wants to win. I believe the Jazz really like Ronnie Price as the backup (and I do too), but Chalmers might be the perfect profile-fit for the Fisher/Eisley player of our future. Don't be surprised if the Jazz role the dice on someone other than a Center. Agree about Chalmers. 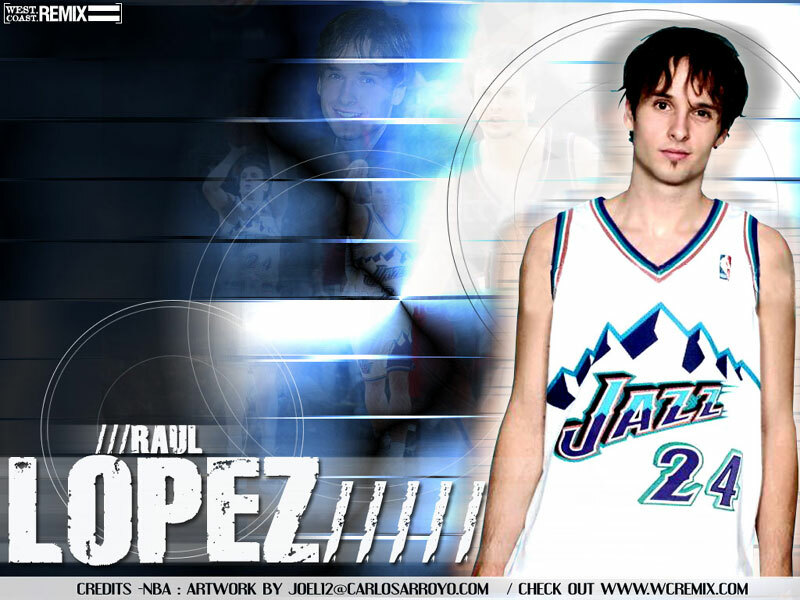 I'd love to see him in a Jazz uniform. However, with all the big men likely to be available at our slot I can't see us taking a PG/SG. What's the deal with Ajinca? I know nothing about him other than that he is ripping it up in workouts. He looks like Calvin Booth - which is not a compliment. Kofoed, Thanks for the shout out. Allez les blues! 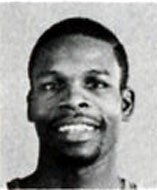 And on that list of great French Basketball players, how could you forget Ute great and future NBA star Kim Tille! Ajinca definitely has the look of Calvin Booth (both in size and shot blocking). He seems to play similar to Mikkie Moore though. And yet, he can hit the outside jumper (Rasheed?). I know he played in the Nike Hoop Summitt and tore it up. That's all I really know about him. Let's hear it for the French! Kim Tillie included.